A complete List of Restaurants and Best Dining in Multan Pakistan with the menu, prices, location, map, address and contact details. You can also check public and customer reviews here before reserving your Restaurants in Multan. In this list, you can find the best restaurants in Multan, there are lots of popular restaurants in Multan which are best known for their services, seating capacity, hygienic atmosphere. You can also find the best restaurants in Multan for your meetings, groups parties, hangout, dates, birthdays, weddings, father's and mother's day, even for your anniversary. KFC is the best place where friend meet & enjoy their meal. KFC provides high quality dinning area & wide array of tasty foods. Wali Foods gives a high quality & tasty dishes. It is well reputed who provides tasty foods. Mux Lounge offering a wide range of tasty foods. It's specialty Pakistani & Chinese food. Icecream and Faludo House is very famous in Multan for their delicious ice cream variety. Chaat Cafe is a very famous place in Multan. They are offering wide range of dishes. Papa Gino gives a high quality casual. it's well reputed who provides tasty foods. Shangrila Cuisine is a famous place in Multan. It's proper sitting arrangement with great environment. DeraInn is the best place where friend meet & enjoy their meal. DeraInn provides high quality dinning area & wide array of tasty foods. Shang Palace is very famous place in Multan. they are serving people with delicious food in a very relaxing & hygenic environment. Dilmeer Peera is a very famous in Multan. It's sitting arrangement is fabulous & dinning area is very attractive with relaxing environment. Ahmer Nihari are serving people with delicious food in a very relaxing & hygenic environment. It's very famous place in Multan. Shangrila Gardens gives a high quality food. it is well reputed restaurant who provides tasty foods. Bisma Hall, Sheza Inn is very outstanding place. It's is proper sitting arrangement & service is well. Chaman Ice Cream is a very famous place in Multan. It's sitting arrangement is fabulous & dinning area is very attractive & relaxing environment. Fort Bakers is a very famous place in Multan. It's sitting arrangement is fabulous & dinning area is very attractive with relaxing environment. Domino Pizza is a very famous place in Multan. It's sitting arrangement is fabulous & dinnig area is very attractive with relaxing environment. Zanzibar is a very famous place in Multan. It has an exceptionally stylish interior and arrangement with great food. 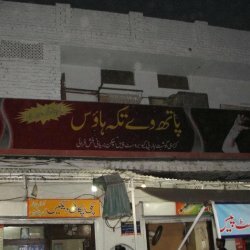 Tasty Plus is a very famous place in Multan. It's sitting arrangement is fabulous and dinning area is very attractive with relaxing environment.